In this chapter, the impact of cutting parameters (depth of cut, cutting speed, feed, flow, rake angle, lead angle) on cutting forces in the turning process with regard to ASTM B574 (Hastelloy C-22) material has been investigated. Variance analysis has been applied in order to determine the factors affecting the cutting forces. The optimization of the parameters affecting the surface roughness has been obtained using response surface methodology (RSM) based on the Taguchi orthogonal experimental design. The accuracy of the developed models required for the estimation of the force values (Fx, Fy, Fz) is quite successful. In this study, where the R2 value has been used as the criterion/measure, accuracy values of 93.35%, 95.03%, and 95.09% have been achieved for Fx, Fy, and Fz, respectively. As a result of the ANOVA analysis, the most effective parameters for Fx at a 95% confidence interval are depth of cut, feed rate, flow, and rake angle. The most effective parameter for Fy is depth of cut, while the most effective parameters for Fz are depth of cut, feed rate, and flow, respectively. Cutting forces affecting cutting tools constitute an important step in terms of metal removal as part of the machining process. Cutting forces are one of the main parameters to be considered in designing and manufacturing cutting tools and auxiliary equipment. Cutting forces vary depending on parameters such as cutting speed, rake angle, depth-of-cut, feed rate and the material of the piece being worked. In order to determine the production cost of a part in the machining processes, the impact of cutting parameters on cutting forces needs to be known. Processes such as determining the required power and accurate sizing of the tool/machine can be realized with a knowledge of the cutting forces. In addition, in order for machines to be long lasting and in order to increase production quality, stresses caused by the effects of forces and strain should be well analysed (Gok, 2015). In machining, the aim is to reach the maximum high-quality production volume at the lowest cost. Surface roughness and machining time in turning operation are the most important parameters for the product quality. The main purpose is to minimize the surface roughness and the machining time. There are many factors that affect the surface roughness. The basic idea of our work is to investigate the cutting forces and other affecting factors which are very effective on surface roughness. Basically, when the cutting force increases, the amount of vibration of the lathe rises. The increase in vibration causes surface roughness, which is undesirable. Reduction of surface roughness can be achieved by minimizing the cutting forces. Such minimization depends on optimizing the cutting parameters. 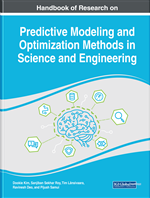 In recent years, intensive studies have been carried out in academic and commercial fields on parameter optimization in machining.